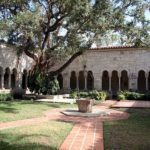 One of my favourite places to visit in the Miami area is the 12th century St. Bernard de Clairvaux Church – known as the Ancient Spanish Monastery. It’s such a calm and peaceful place especially in contrast to the hustle and bustle of Miami today. But if you’re familiar with Florida history, this might puzzle you. Yes, work started on the monastery in 1133 but as you realise, that wasn’t in Miami. It was built over a nine year period in Sacramenia, Spain. So why is it now a Miami tourist attraction? It’s all thanks to controversial – and very rich – newspaper magnate, William Randolph Hearst. In 1925 he took a shine to the monastery and decided to buy it, take it apart, ship it over to the States and have it reassembled in the grounds of his magnificently opulent Hearst Castle in California. Well, this was his aim. He was unable to buy the entire monastery but was satisfied with the cloisters, the refectory and the chapter house, thinking that they’d look just fine in his extensive grounds. So the buildings were duly taken apart and carefully packed in 11,000 large crates and shipped across the Atlantic. There had been a minor glitch along the way but Hearst didn’t worry unduly. Before the crates had left Spain there had been an outbreak of hoof and mouth disease and the crates had been unpacked as it was believed that the hay used as padding material could spread the disease to America. The hay was removed, destroyed and the items were re-crated in due course. But when the crates arrived in New York, it was found that during the re-packing process, much of the careful labeling had been destroyed or mixed up. Hearst had no idea how to reassemble them and realise his dream. So the crates remained in a Brooklyn warehouse. To add to his troubles, the wealthy Hearst then developed financial problems of his own. He simply couldn’t afford to complete the project, even had he been able to figure out exactly how to do it. So the crates continued to moulder in Brooklyn … where they remained for almost thirty years. Two Miami men came to the rescue and bought the crates in 1952. 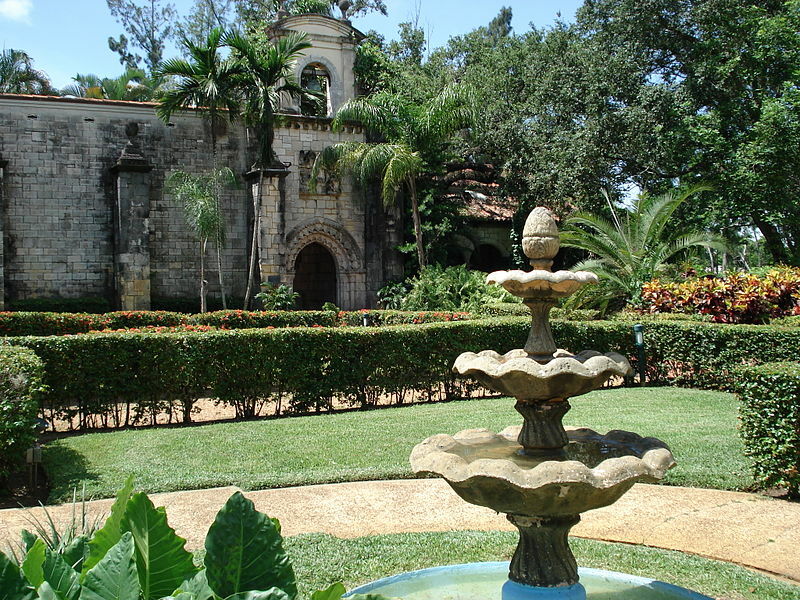 They decided to reassemble the monastery on the site of a plant nursery business in North Miami. It took them almost two years to discover how to assemble the piles of stones and pillars. 16711 West Dixie Highway, North Miami Beach, Florida.